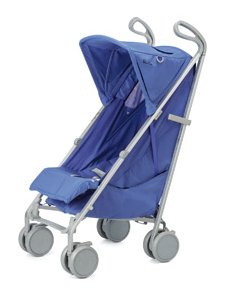 Are you looking for a stylish lightweight stroller for quick trips to the mall or the Caribbean? Silver Cross, the company that created the ultra exclusive Balmoral and Kensington Prams, now offers a chic travel option for parents. 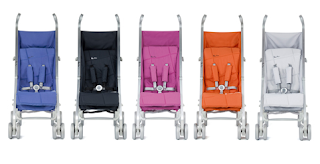 The Silver Cross Dazzle is suitable from birth to toddle and it features a single handed smooth recline. It has an easy, compact fold, which makes it the stroller of choice for busy, on-the-go parents. I personally like the soft, bold fabrics the stroller is offered in. With names like Blueberry, Cosmic Black, Grape, Pumpkin and Silver Grey, it almost makes you want to head to the bakery for some pie. For parents who like to match – A diaperbag, Parasol and Footmuff are available in all colours.